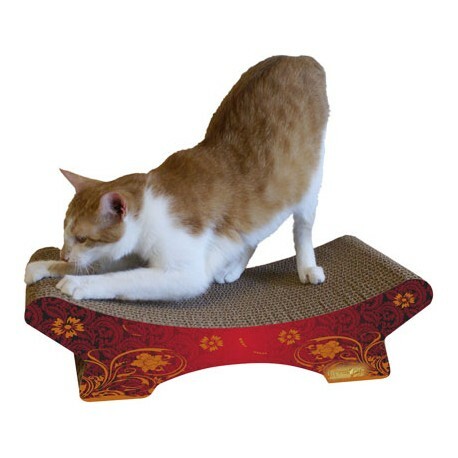 Once kitty sinks his claws into the Zen scratcher, he won't be tempted to claw your furniture anymore! 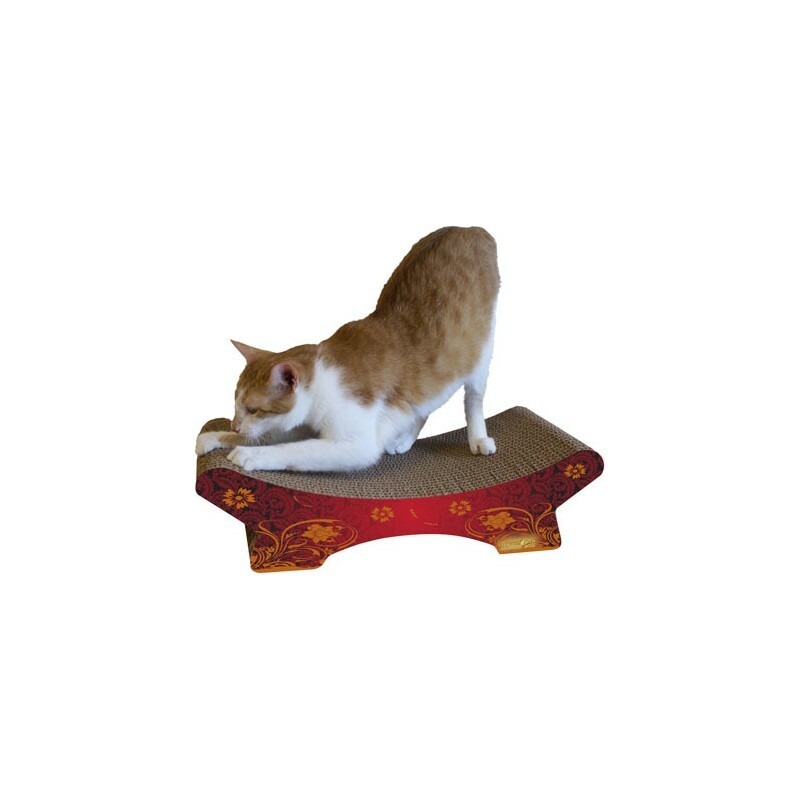 Once kitty sinks his claws into the Zen scratcher, he won't be tempted to claw your furniture anymore! The curved surface of this stylish scratcher is great for lounging, too! Attractive, modern design complements home décor. Made in the USA from recycled paper. Bag of 100% certified organic catnip included. Dimensions: 9" x 22.25" x 6.25"